We made Easy Dials It because we were frustrated with trying to dial while driving. We needed to easily navigate contacts and dial with one hand. We needed a better favorites dialer and this was long before Siri. 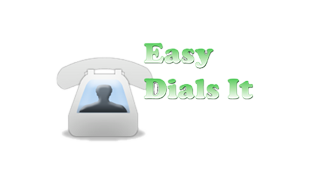 Check out Easy Dials It by clicking here or the App Store icon below. VoiceCentral was our original Google Voice client for iOS. When controversy between Apple and Google took it from the App Store, we came up with even better app all based on HTML5. Check out Voice Central Black Swan. Feel free to contact us for more info, to give us feedback, or to talk about your iOS project.